Executive approved today the buy of 24 F-16 second hand. At the moment the news doesn't contain other details: from whom, what engines, what block. Probably will be upgraded to Block 50/52 plus new engines. The decision must be also approved by Parliament. BUCHAREST, Romania - Romania will purchase 24 secondhand F-16 fighter jets in an effort to revamp its Air Force, the country's Supreme Defense Council (CSAT) announced March 23. "Since Romania does not have the necessary resources to buy new multirole combat aircraft, the CSAT has approved the defense ministry's proposal to purchase 24 secondhand F-16 jets," the Council said in a news release at the end of a meeting headed by President Traian Basescu. "The decision will be submitted to Parliament for approval." 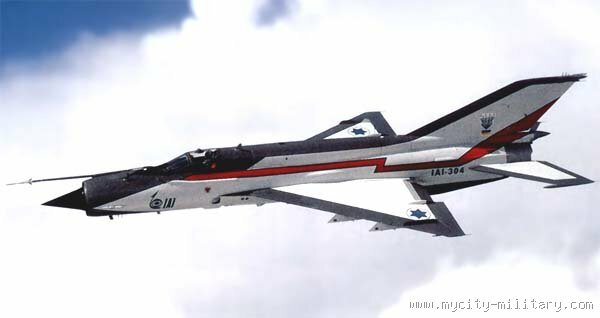 The Lockheed Martin-made jets will replace the aging, Soviet-made MiG-21 Lancer aircraft now used by the Romanian Air Force. No details on the cost of the purchase were immediately available. Romania has long mulled the purchase of fighter planes but has delayed the decision because of a lack of funds. In 2008, the defense ministry had argued that buying secondhand F-16 jets would enable Romania's armed forces to enjoy greater inter-operability with other NATO states. At the time, military sources had said the secondhand jets would cost a total of $800 million, while purchasing 24 new ones could cost $3.5 billion (le prix Egyptien???). la belgique n´a que des A/B mtn thierry je crois,le reste des MLU n´etant pas (encore) en vente. The American second-hand F-16 aircrafts that Romania decided to purchase for its air forces will require costs worth of 900 mln to 1.2 billion dollars, according to discussions held by the Romanian National Defence Ministry and the US, sources who took part in negotiations declared for Romanian news agency Mediafax. According to the sources, the planes are offered with no charge, but Romania still needs to pay about 900 million dollars to train the pilots, for maintenance and upgrade, as well as for transforming the airport infrastructures. A small part of this sum, namely over 400 million dollars, will be allocated for training Romanian pilots. The sources have also claimed that the Romanian party intends to send 48 pilots in the US for training. They will take part in the programme for professional training which will stretch over more than 12 months. On the other hand, Romania will still need to pay for the necessary ammunition that goes with the planes, so the total sum for the F-16 planes might amount to 1.2-1.2 billion dollars, sources claim. The final draft of the agreement will be signed by the Romanian and American governments. Lockheed Martin reps to Romania have not revealed anything about the deal. This is the company that delivers the goods and reps say they have no authority to disclose more details. But they noted that Romania will buy 24 F-16 aircrafts, C type or D type, without mentioning the production year or the number of flight hours the aircrafts have already been subjected to. Romania's Supreme Defence Council (CSAT) approved Defence Ministry's proposal of buying 24 used F-16 aircrafts. The document is still to be discussed by the Parliament. Romanian Defence minister Gabriel Oprea declared yesterday that the decision in favour of the F-16 aircrafts was made easy by the fact that Romania hasn't got money to spend. Lockheed Martin personnel in Romania have reportedly confirmed that the aircraft with be F-16 C/D fighters, without mentioning the production year or their number of flight hours. The US DSCA request noted AN/APG-69v1 radars and PW F100-220 IPE engines as expected equipment, however. This strongly suggests F-16 C/D Block 25 aircraft, delivered between 1984-1986, and currently operational with American Air National Guard units. Il semblerait ausi qu'il y'aura du F-16 neuf ensuite (probablement). National Defense Minister Gabriel Oprea presented, during the meeting of the Supreme Council of National Defense (CSAT) held on March 23, 2010, a statement on the Multirole Aircraft Program of the Romanian Air Force. Given that Romania does not have the financial resources necessary for the acquisition of new multirole aircraft, CSAT has approved the Defence Ministry’s proposal to acquire 24 used F-16 aircraft. The proposal will be submitted for discussion and approval by the Romanian Parliament. The proposal to purchase F-16 aircraft was made by the Romanian Air Force’s General Staff, and is based on an in-depth analysis of the missions which the aircraft is required to carry out, and on the long-term strategy to integrate the fighter aircraft into this category of forces. Minister Gabriel Oprea also presented CSAT members with information regarding the implications of the retirement, in coming years, of the MiG-21 LanceR fighter aircraft which currently equip the Romanian Air Force. The implementation of the Multirole Aircraft Program is part of the strategic partnership between Romania and the United States of America, and the option to purchase F-16 aircraft is part of the Air Force Staff’s strategy of gradually developing operational capabilities, with the ultimate goal of acquiring the F-35 Joint Strike Fighter. --A final phase involving the service introduction of 24 F-35 JSF aircraft, which will replace the first batch of F-16 aircraft originally purchased. The F-16 is a multirole aircraft capable of performing missions for the defense of airspace, strike missions against land and sea targets in all weather conditions, by day and night, and reconnaissance missions. Its equipment configuration meets Romania's defense needs and allows the commitments undertaken within NATO. The F-16 is a tactical aircraft whose performance has been tested in combat, and has successfully carried out missions during operations in Iraq, the Western Balkans and Afghanistan. All these technical features and performance at the highest level meet the initial operational requirements of the Romanian Air Force. The purchase of used F-16 aircraft will be subject to an agreement between the governments of Romania and the United States. Project value is approximately US $ 1.3 billion, broken down as follows: 24 refurbished, updated and fully equipped aircraft; technical assistance for a period of 3-5 years; and a logistic support package including flight simulators, training, transport, adaptation of ground infrastructure, ammunition, weapons and administrative costs. Personnel training will be carried out in the United States to U.S. Air Force standards, to achieve the required operational level and the full implementation of this system’s capabilities. The first aircraft will arrive in Romania in 2013. BUCHAREST - Swedish group Saab said Thursday it was "surprised" at Romania's choice of F-16 second-hand aircraft to the detriment of its Gripen and asked authorities to submit all offers to parliament. "Unfortunately, the Romanian armed force may end up with someone else's junk." The Supreme Council announced Wednesday it would submit to parliament its decision to purchase 24 F-16 aircraft currently used by the US air force. Bucharest is also considering buying 24 new F-16 and, at a later stage, acquiring 24 F-35 jets, the defense ministry said, stressing this was part of the Romanian-U.S. "strategic partnership." But Saab said the ministry should "present to parliament all the offers that have been submitted, so that all the facts are available for discussion." The Swedish group also argued its offer was "better by far, from the economic perspective, due to .... the generous 100 percent offset." "We are guaranteeing offset which will bring investments and create tens of thousands of new jobs. The U.S. is promising nothing. In a period of economic crisis, this is simply outrageous." 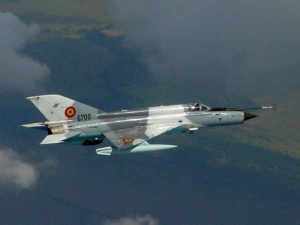 Romania has long mulled the purchase of fighter planes to replace its ageing, Soviet-made MiG-21 Lancer aircraft, but has delayed the decision due to lack of funds. The F-16 (Lockheed Martin) were competing with the Gripen jets, the Eurofighters (EADS, BAE Systems and Alenia/Finmeccanica) and the French-made Rafales (Dassault). Je pense que les Grippen leur iront mieux que leur F16 ou F16/F35,comme la Tchequie..
encore une deception pour eux,y´a presque plus rien a faire pour eux dans ce segment...et encore une fois bravo aux US qui rafflent tout sans faire trop de bruit. Romania’s first two of seven C-27J Spartan tactical transports have arrived in Bucharest, after completing a ferry flight from Alenia Aeronautica’s Turin Caselle site in Italy. The aircraft landed at Bucharest Otopeni airport on 12 April and have now been formally accepted by the Romanian air force. The service will use the type to replace its remaining four operational Antonov An-26s in performing tasks such as personnel and equipment transport, medical evacuation, search and rescue and humanitarian assistance. “The aircraft will be brought into service immediately, and a complex process of advanced training of the Romanian crews and technical staff will start,” says Alenia Aeronautica. The company will also provide spare parts and other support under its December 2007 contract, worth €217 million ($295 million). Around 28 C-27Js are now in service with Bulgaria, Greece, Italy, Lithuania and the USA, as listed in Flightglobal’s MiliCAS database. Alenia Aeronautica is also under contract to produce the type for Morocco, while Slovakia has selected the model. States for second-hand F-16s, officials confirmed on Wednesday. The offer matches the number of jets offered by the United States, but does not contain ammunition like the US offer. Romania's Supreme Council announced in March its decision to buy 24 second-hand F-16 jets for $1.3 billion dollars, a purchase which is to be submitted to parliament for approval. Jerry Lindbergh, a Swedish government official in charge of defence exports, gave details of the offer at a news conference in Bucharest. He said Sweden could provide 24 new "fully NATO interoperable Gripen C/D fighters, including training, support, logistics and 100 percent offset for the amount of EUR 1 billion." The money could be paid over 15 years with low interest rates. Sweden's ambassador to Romania Mats Aberg said it was "Romania's sovereign right to choose the multirole jets it wanted", but to provide all information on the Swedish offer, he had sought a meeting with the parliament defence commission chairman. Swedish group Saab said in March it was "surprised" by Romania's choice of second hand F-16 aircraft. Bucharest is also considering buying 24 new F-16 jets and later 24 F-35 jets, the defence ministry said, stressing this was part of the Romanian-US "strategic partnership." ci ce n était pas les relations tendus avec la suede, je trouve que le gripen est un bon appareil compte tenu du prix et des couts d utilisation. ROME - The Eurofighter consortium has told Romanian lawmakers that up to 5,000 skilled jobs could be created in Romania if they scrap plans to buy F-16 fighter jets and acquire the Eurofighter Typhoon instead. De Mitri outlined plans to sell Romania 24 Tranche 1 Typhoons, which are now flying in Italy following their delivery to the Italian Air Force between the end of 2003 and 2008. The price, including logistical support and training, would be 1 billion euros ($1.3 billion), he said. That matches the price tag for 24 used Lockheed Martin F-16s, which Romania's Supreme Defense Council opted to acquire in March. But the council's decision to buy F-16s requires Romanian parliamentary approval, and on May 11, the Senate Defense Commission called in representatives of rivals Eurofighter and Sweden's Saab, which builds the Gripen fighter, after stating it wished to hear from Lockheed's competitors. Swedish officials previously said in April they could sell Romania 24 new Gripen aircraft for $1.3 billion, the same price as the 24 second-hand F-16s, in a deal including training, logistics support, 100 percent offset and easy payment terms. On May 11, the Eurofighter consortium outlined its deal to the lawmakers, with Alenia executive De Mitri claiming that the 100 percent offset deal, as well as technology transfer and local industrial participation, could generate 5,000 jobs locally. "Romanian industry could be involved in a logistical support program similar to that seen in other Eurofighter partner nations, which is leading to record performances for the aircraft," a Eurofighter spokesman said. "Our price also includes logistical support and training, and we are also offering long-term repayment," he added. The Italian Eurofighters could be delivered between the end of 2011 and the end of 2012, he said. Voilà, on est vraiment des rawlis, on a commandé le même nombre d'appareil et on a rien reçu en échange, les Roumains vont avoir un transfert de techno sur des avions de chasse, et nous on se contente de les reçevoir des USA en faisant travailler leurs employés et en enrichissant leur économie ! on a tout compris ! The Romanian Minister of National Defence, Mr. Gabriel Oprea, welcomes US decision to donate 60 mine resistant, ambush protected (MRAP) armored carriers to be used by Romanian troops deployed in Afghanistan. 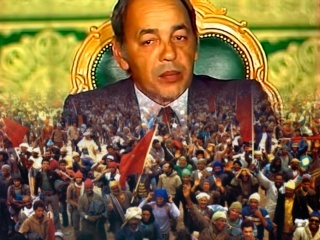 Since he took over his mandate, defence minister Gabriel Oprea made a priority out of the troops' protection, especially the ones deployed in Afghanistan. MRAP armored carriers offered by US military for the use of Romanian troops was one of the topics approached by President Traian B?sescu and minister Gabriel Oprea, at the meeting they had with ISAF US commanders in Afghanistan, on March 4. These vehicles, which have a better armor configuration than HUMVEEs will offer an increased protection of the troops against improvised explosive devices and attacks with small caliber weapons. The defence minister said this year?s procurement should make a priority out of equipping troops in the theaters of operations and improve their protection.